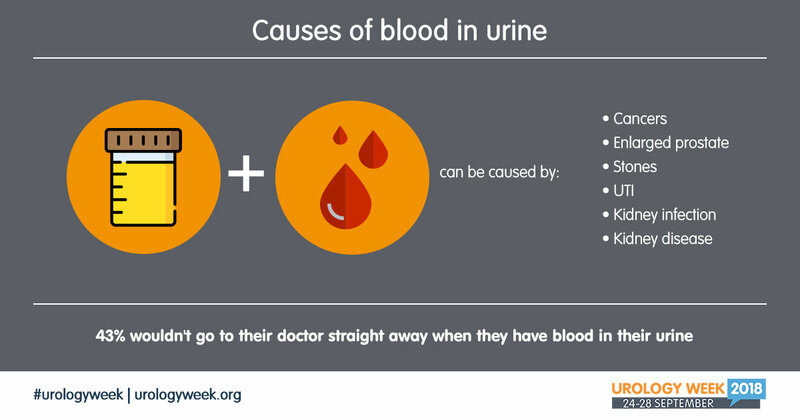 During Urology Week, our goal is to raise awareness of what urology is truly about. We aim to start relevant discussions, share experiences and educate people to regularly check their bodies for symptoms. Prevention is better than cure. Prevention can save lives. For the first time, the EAU, with the support of Boston Scientific, has conducted an international survey to assess the general knowledge on urology. 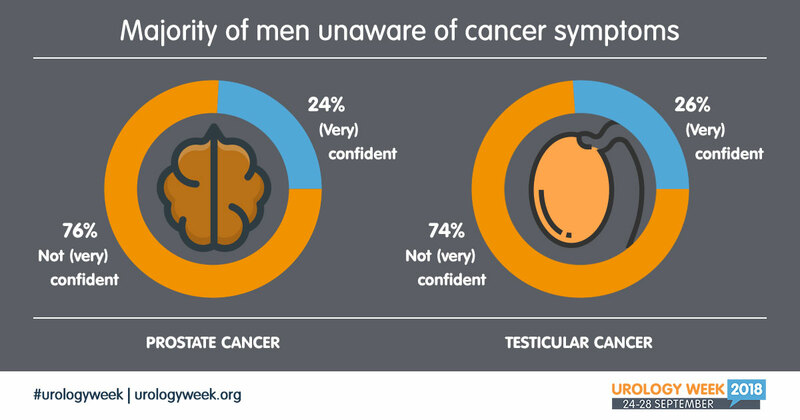 We have asked over 2,500 members of the public from France, Germany, Italy, Spain and the United Kingdom 8 questions regarding a range of urological conditions concerning Men’s Health. Visual abstract – What does a urologist do? Visual abstract – Where is the prostate located in men? Visual abstract – Where is the prostate located in women? 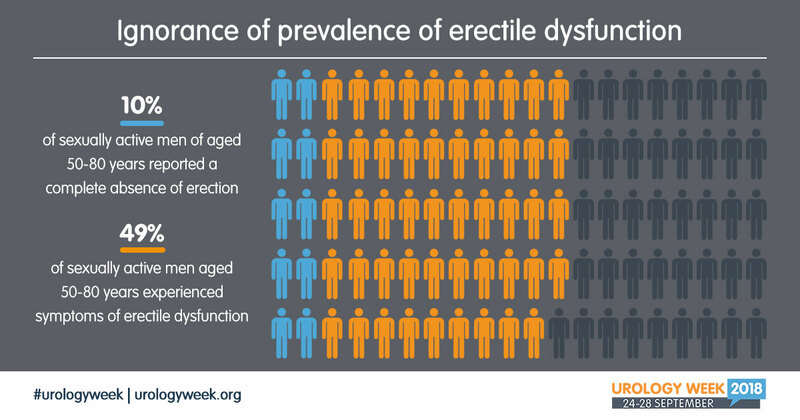 Visual abstract – What percentage of men aged 50-80 years old have erectile dysfunction in your country? 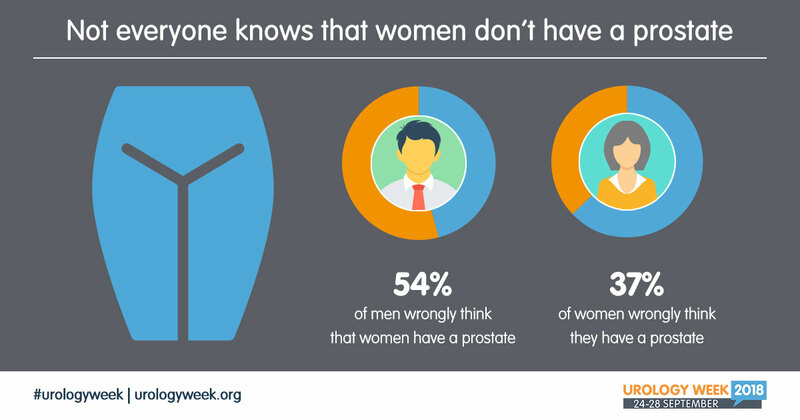 Visual abstract – What percentage of men suffers from prostate cancer at some point in their lives? 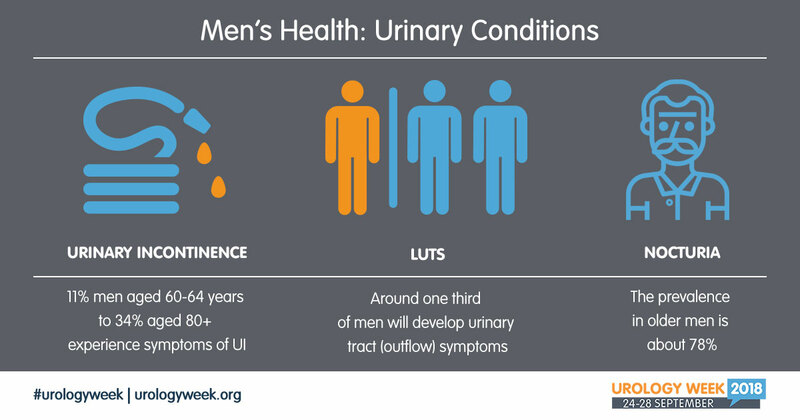 Visual abstract – What percentage of men suffer from urinary tract issues (e.g. incontinence, outflow symptoms)? Visual abstract – How long would you wait after experiencing urological symptoms before visiting your doctor? Visual abstract – How confident are you in recognising the symptoms of the following cancers? If you would like to arrange an interview, looking for specific background information or have any other question, do not hesitate to send your requests to press@uroweb.org or contact Jarka Bloemberg at +31 (0)26 3890680.